Downtown San Diego is one of the newest dynamic metropolitan areas in the country, drawing visitors and residents alike with its natural beauty, unique city center and fabulous climate. With one of the most beautiful natural harbors in the world and mountains to the east, it is no wonder so many choose to call downtown San Diego home. Downtown San Diego homes offer an exciting live – work – play lifestyle. Downtown San Diego homes come in many shapes and sizes. 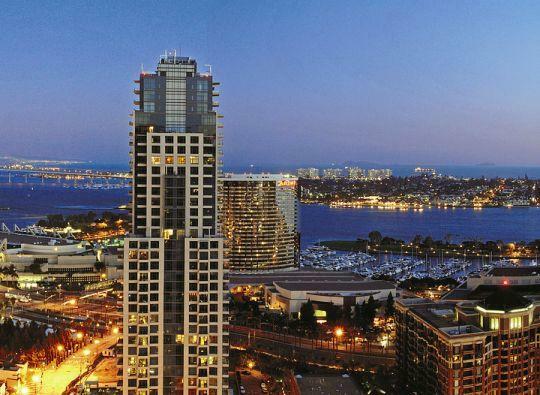 High rise, mid-rise and low-rise condominiums, townhomes, row homes, lofts, live/work spaces, single-family and multi-family residences – with so many downtown San Diego homes to choose from, consumers are likely to find just what they are looking for. Many unique downtown San Diego houses are also thrown in the mix, such as Victorian homes built in the late 1800s through the 1940s and Craftsman-style homes built in the 1930s through the 1960s. District. Each neighborhood has its own unique culture and attributes. Little Italy features delicious Italian restaurants and cafes, boutiques, art, fabulous cultural events such as Festa and Carnavale, and the weekly Mercato farmer’s market. The Marina District has some of downtown San Diego’s greatest outdoor spaces including Pantoja Park, the Martin Luther King, Jr. Promenade, Seaport Village, and the Children’s Museum Park. East Village is the downtown San Diego home of PETCO Park and the San Diego Padres. Downtown San Diego houses one of the largest urban parks in the world, Balboa Park. With over 1,200 acres of gardens, museums, and athletic facilities, Balboa Park is one of the city’s greatest attributes. Exercise enthusiasts, theatre-goers, art aficionados, and history buffs enjoy all of the wonderful opportunities Balboa Park has to offer. With a vast and seemingly endless list of attributes, it is no surprise that visitors often decide to make downtown San Diego home. If you’re ready to call downtown San Diego home, contact us today or just give us a call at 619-309-8011.